These are the Labour candidates standing for the Wealden District Council elections on May 2. 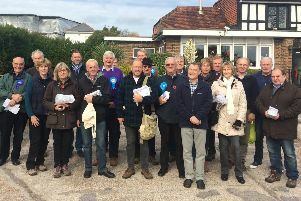 The party has put forward 27 candidates to fight for seats on the council, which represents residents in Crowborough, Hailsham, Heathfield, Uckfield, Herstmonceux Polegate, Pevensey Bay and more. 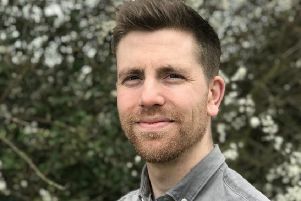 A spokesperson for Wealden Labour Party said, “Labour in Wealden is witnessing a rising tide of support evidenced by its Uckfield Town Council by-election victory in Uckfield North last summer. “Fielding candidates throughout most of the district and campaigning actively in many wards, it has been buoyed up by a large increase in membership since four years ago. “We will be looking to provide a constructive alternative to the present overwhelming Conservative presence of 48 out of 55 members on the District Council. “Our policy is that the Government’s austerity policies should be reversed, and that, meanwhile, much more could be done at a local level to mitigate austerity’s worst effects – particularly in housing, social care, education, health and policing – even when some of these are the responsibility of other authorities within the system. Below is a list of the Labour candidates and which seats they are hoping to win. This newspaper has contacted each party putting forward candidates in the Wealden District Council elections. But contact ginny.sanderson@jpimedia.co.uk if you are a Wealden party or candidate and would like to be included in our coverage.